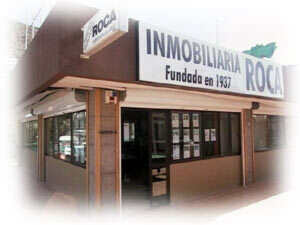 ROCA Real Estate was established in 1937 and ever since has been a leading Estate Agent on the island of Gran Canaria. At Real Estate Roca, with almost 80 years experience, we have at your disposal experienced staff to ensure an efficient management of all type of business. We deal in all types of properties including apartments, houses, bungalows, commercial premises, farmland, etc. To rent, buy or sell a property, or any other real estate transaction. Our professional counseling, legal advice, and management offer you a complete service, including a whole range of administrative formalities in connection with the purchase of properties, such as applying for a N.I.E. number, opening bank accounts, arranging a mortgage, direct debit payments for water, electricity, maintenance costs, taxes, internet, telephone, etc. We also have our own in-house refurbishing company. The respect for our clients, our honest business code and efficiency over the years, is endorsed by hundreds of satisfied clients.